The Bibliotheca Alexandrina Chamber Orchestra (BACO) was founded in 2002, with the beginning of the Arts Center’s activities. It consists of 16 Egyptian string players who perform various musical trends, including modern Egyptian and international pieces. It is the only regular Chamber Orchestra in Egypt that performs works written for a relatively small in number, but yet highly skilled players. The BACO performs a vast repertoire of chamber music. Horn player, Conductor and Composer graduated1987 from the Cairo Conservatoire, in 1988, he was commissioned to compose the very first piece of music “Fanfare” to be performed at the Inauguration of the New Cairo Opera House. From 1989 to 2001, he held the position of Artistic Director of the “Citadel Festival of Music and Song” taking place at the Salah El Din Citadel every summer. 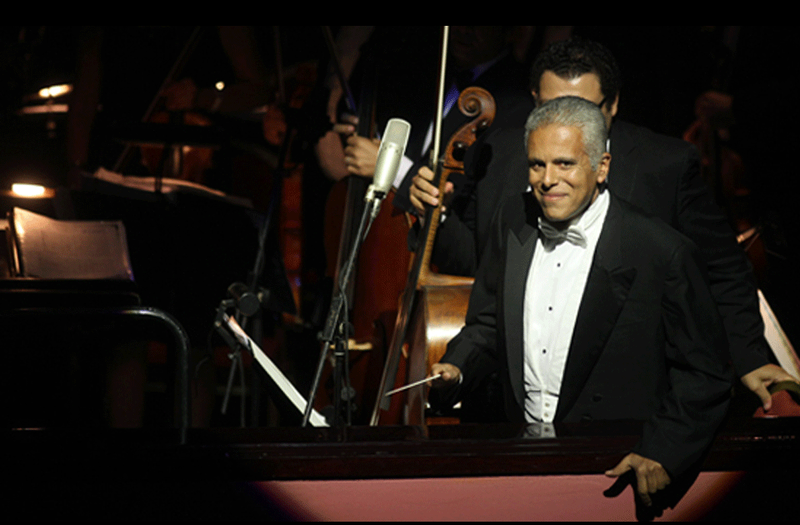 In 1992, he founded the “Akhnaton Chamber Orchestra”, in 1995, he was appointed Artistic Director and Principal Conductor of the first Chamber Orchestra in Alexandria to be formed and financed by the Mass Cultural Sector, Ministry of Culture and in 1997 he became the principal conductor of the Cairo Opera Orchestra. Maestro Mohie-Eldin is member of several International Juries such as the (Cairo International Song Competition, Fullbright Panel (2001), a staff member at the Cairo Conservatoire, Academy of Arts. Appointed Director of the Damanhour Opera, parallel to his assignment as Director of the Bibliotheca Alexandrina Arts Center (2006). In 2009, he earned a Ph.D. degree in the philosophy of art in music analysis and was awarded the State Incentive Award in music composition.